This fantastic daily classroom planner features 88 planning pages with blank headings so you can fill in your schedule, rules for writing, spaces to list absences, a reminder area, and more. The flexible format allows you to record all the week's information for quick and easy access. You'll also find student information pages, a year-at-a-glance page, birthday pages, seating charts, and more! 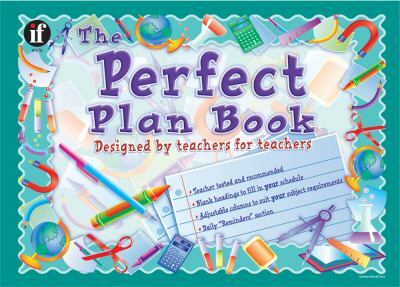 Perfect for back to school to help you organize your new school year. Spiral bindingCarson-Dellosa Publishing Staff is the author of 'Perfect Plan Book' with ISBN 9780742400276 and ISBN 0742400271. Loading marketplace prices 9 copies from $1.31 How does the rental process work?